A home is not simply four walls, a roof and a floor. Your home is more substantial than just a place to escape the elements or lay your head to rest. 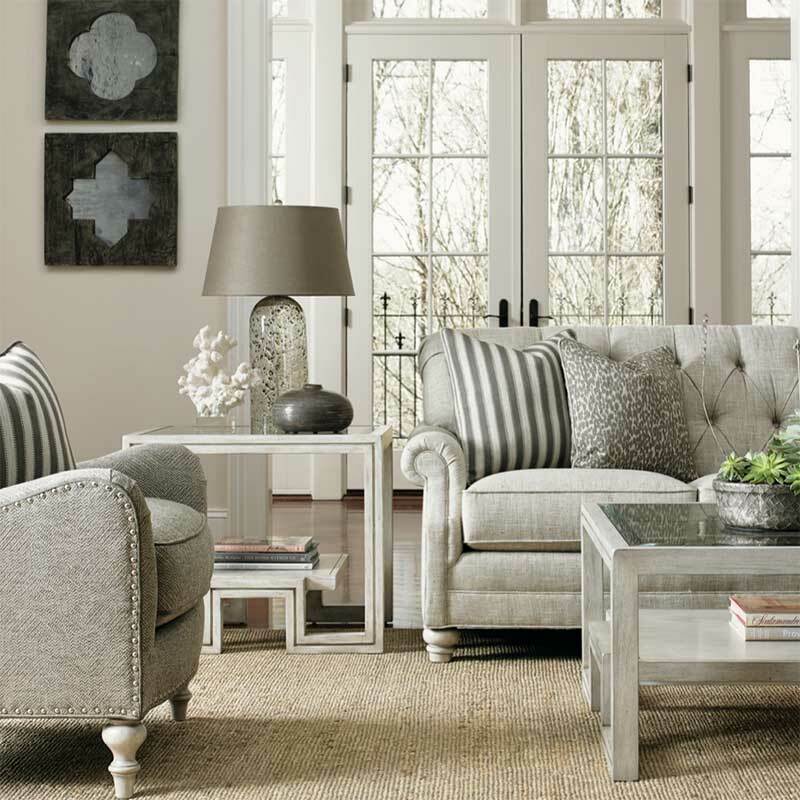 Whether your home is newly constructed and awaiting memories of years to come or has been lovingly lived in for decades, Tuskers Home Store makes it their mission to create a custom interior design that is both stunning and uniquely yours. With a plethora of accessories, patterns, color palettes and gadgets to choose from, furnishing your home can become overwhelming, especially in an ever-changing industry. Tuskers will help you visualize your home as a personal escape, whether that includes light and airy color schemes or rich and vibrant patterns. By assessing your wants and needs for your home, it becomes easy to select an overall theme. From there, Tuskers often encourages picking a few eclectic accent pieces that will be eye-catchers and conversation starters. This may take you out of your comfort zone but will result in a stunning focal point. An ornate area rug, abstract artwork or the mixing of leathers and print fabrics may do just the trick. With over 1,000 fabrics and leathers to choose from, it is guaranteed you will find a style for your home, if not multiple. A range of options also allows you to select the price point that best matches your budget. Furnishing your home should be an enjoyable and collaborative experience that aids in furthering the adoration of the space where you spend the majority of your time. The design team focuses on maintaining the overall vision you have in mind based o of your home construction, layout and location. From the rustic charm of Rosemary Beach to the innovative and bold style of Seaside to the alluring Tuscan-inspired homes of Sandestin, each home is unique yet fitting of its surroundings. They say that home is where the heart is. Tuskers believes that to be whole-heartedly true. Your memories and moments are made here, and the furnishings should reflect that. Each home has a life it was meant to live — whether that be coastal casual with cool blues and island touches or something a tad more vivid or even traditional. Investing time into your home will allow it to reveal its character. You can then design a plan that brings about true potential. Modern, beachy, artsy, contemporary, classic or a mix of many styles, Tuskers can accommodate. Outdoor living spaces can quickly become one of the most important areas in the design process. From summer barbecues to winter bon res, outdoor spaces often hold as many memories as indoor spaces. In order to make the most of the great outdoors, investment in outdoor furnishings should be considered. The outdoor elements need to be a continuation of the inside of the home in both design and quality. Achieving maximum comfort and superior style is essential. No plastic patio furniture allowed. The harsh salt air, humidity and heat are also of paramount consideration when selecting outdoor products. Selections must be made of substantial materials if you plan to have them last through a single Florida season. With top-of-the-line brands such as Tommy Bahama and Summer Classics, homeowners can truly create their own personal backyard resort. Eclectic and warm mixes of reclaimed woods, soft metals and natural bers compose the design foundation of many homes in the area. These pieces bring forth comfort and quality, which are the primary, driving forces in Tuskers’ design jobs. The sustainability of these products will serve families for many years of sun- soaked Emerald Coast fun. Subtle greys, whites and browns make for a pleasing color palette in almost any home and allow for key pieces to take the forefront. With over 1,000 fabrics and leathers to choose from, it is guaranteed you will nd a style for you home, if not multiple. A range of options also allows you to select the price point that best matches your budget.